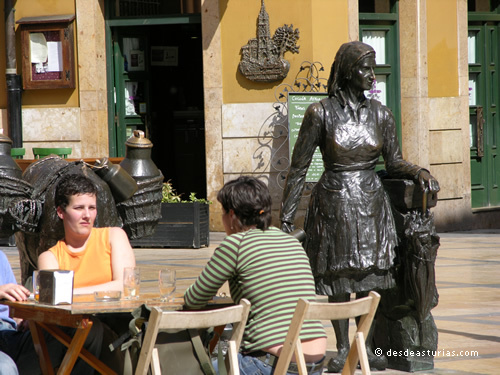 The historic center of Oviedo keeps a nineteenth-century flavor Hard to find in other Spanish cities. Aside from the fact that their heritage is really considerable, rehabilitations and reconstructions of the last decade have been exclusively concerned with emphasizing this historical character. 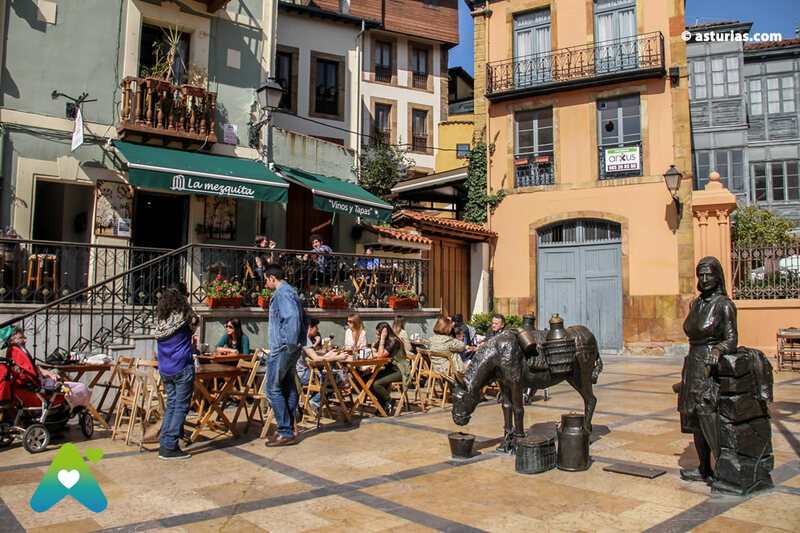 The pedestrian streets, without the presence of cars and just another type of contemporary vehicles, make the feeling of going back in time more effective if possible. The walk that we propose to you is a return to the look of that Oviedo that Leopoldo Alas "Clarín" portrayed. He met him almost in the same way that today is presented to us, and it served as an inevitable stage for his famous novel "La Regenta". 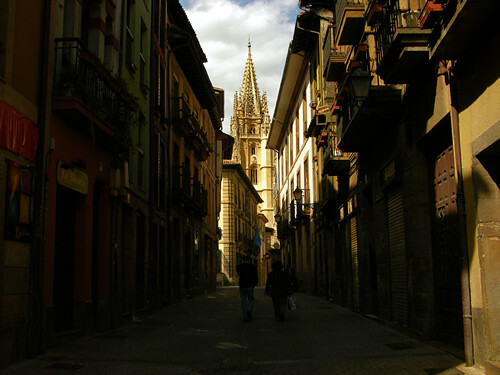 Well, we are approaching the vicinity of the cathedral down González Abascal street. On our left it opens the Porlier Square, reformed not many years ago. 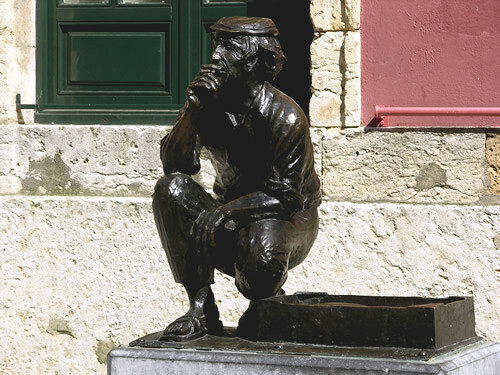 Currently the focus is on the sculpture of a traveler loaded with suitcases in an attitude of rest. We are talking about "The Return of Willians B. Arrensberg", a suggestive title for a stony man created by the artist Úrculo in 1993. It seems that he has just arrived in Vetusta, possibly like us, and stops for a while before the palace of Camposagrado, dated in the eighteenth century. To our right, closing the square, gets up the palace of the Count of Toreno, from the 17th century, birthplace of the illustrious deputy of the Cortes of Cádiz, and no less illustrious historian, José Mª Queipo de Llano. This building is currently the seat of the Royal Institute of Asturian Studies, concerned with the study and dissemination of ethnography, culture and Asturian literature. 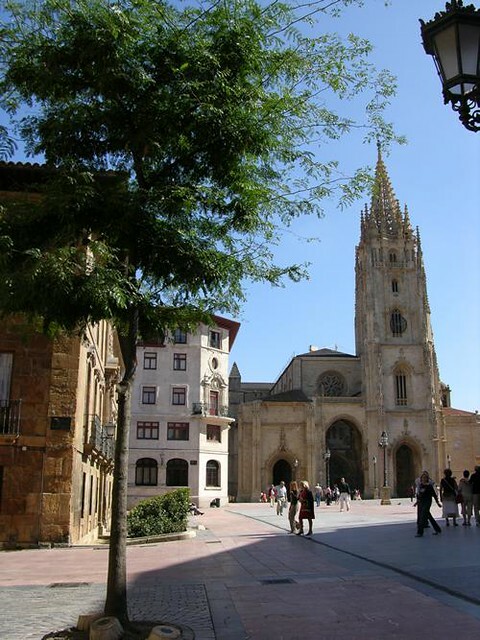 We moved down González Abascal Street and arrived at the Cathedral Square (which is well worth a visit), presided by the monumental tower of its basilica and a large open space in which formerly there were houses with beautiful arcades. 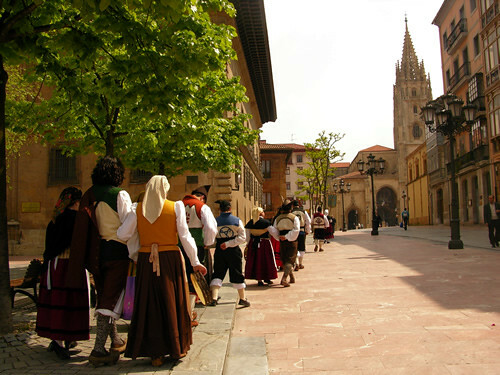 There was celebrated the famous market of "les madreñes", constituting one of the social epicenters of old Oviedo. From this place we see the Palacio de los Valdecárzana Heredia, from the 17th century. 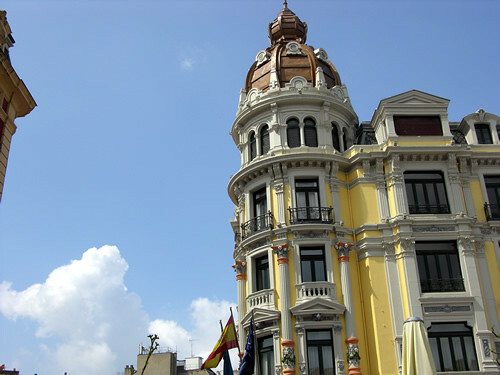 A legendary building for the Oviedo society and fictional fiction, since the famous Casino de la Regenta was located there until the year 1931. 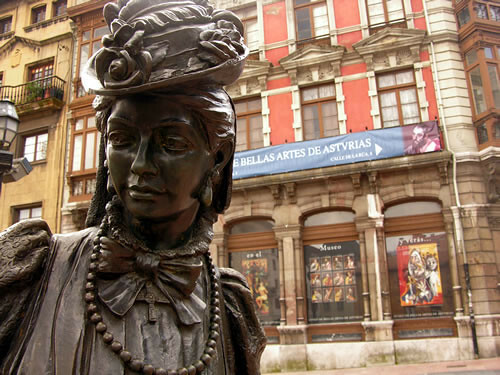 Cathedral and Casino, an indissoluble couple in the novel that today finds one more hallmark: the sculpted figure of Ana Ozores, la Regenta. Like a passer-by but with a sculptural nature, with imaginary and also realistic origins. 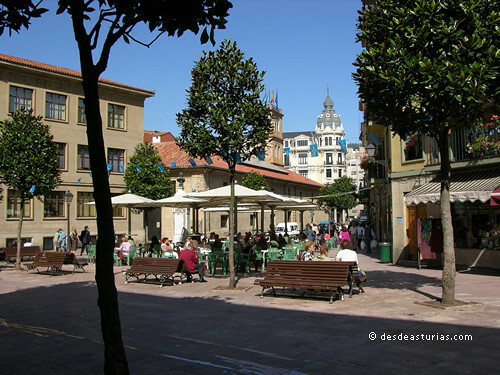 From the complex network of pedestrian streets that come out at our pace we will initially take Cimadevilla street, that next to the Rúa and the street Magadalena constituted the vital artery of the ovetense society. 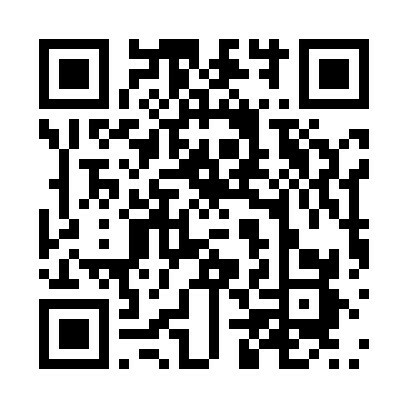 Commercial establishments, cafés for gatherings, bazaars, etc. On our left, with a slight downward slope, we walk through an alley that ends in Trascorrales Square. 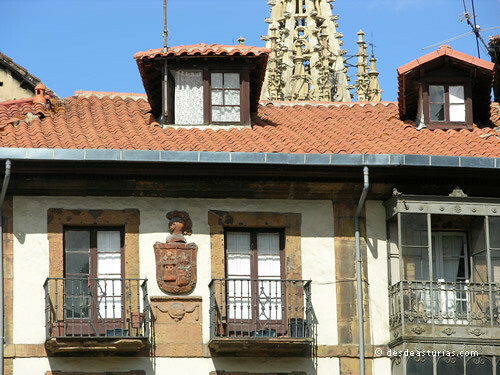 A must to appreciate as a whole a small room in the city, collected and silent, where you breathe the air of history and character of Vetusta. Now we resume our previous route for a moment, we return to Cimadevilla street, and in the background is the arch that we must cross. Actually it is the most important gate of the old medieval wall. On it the tower with the clock of the City council rises, and it makes way for us the Plaza de la Constitución, surrounded by architectural jewels, at the same time humble, that give an extra beauty to the whole. 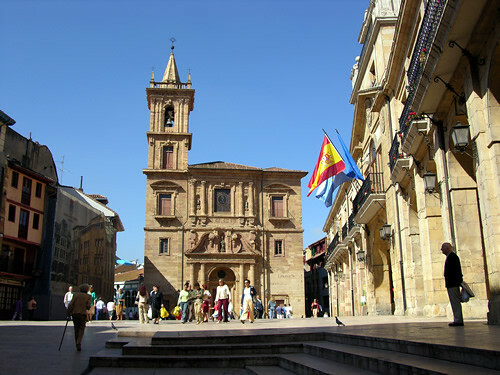 In the square you can also find The Church of San Isidoro el Real, from the 17th century and with a personal touch. 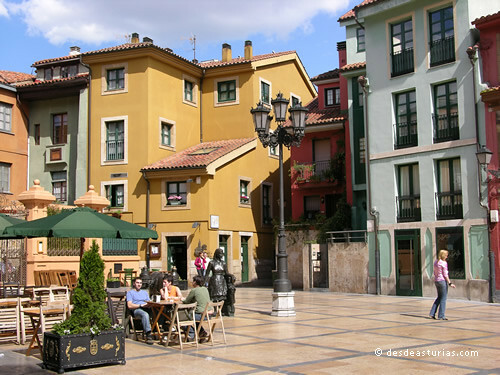 We leave it to our right and we take Magdalena Street El Fontán, emblematic square of the Old Oviedo that has been completely rebuilt with more modern architectural premises. The reconstruction was controversial and we are not going to judge it here. Come closer and draw your own conclusions. If they are made with a photo of the old square they will already have both parts of the trial. 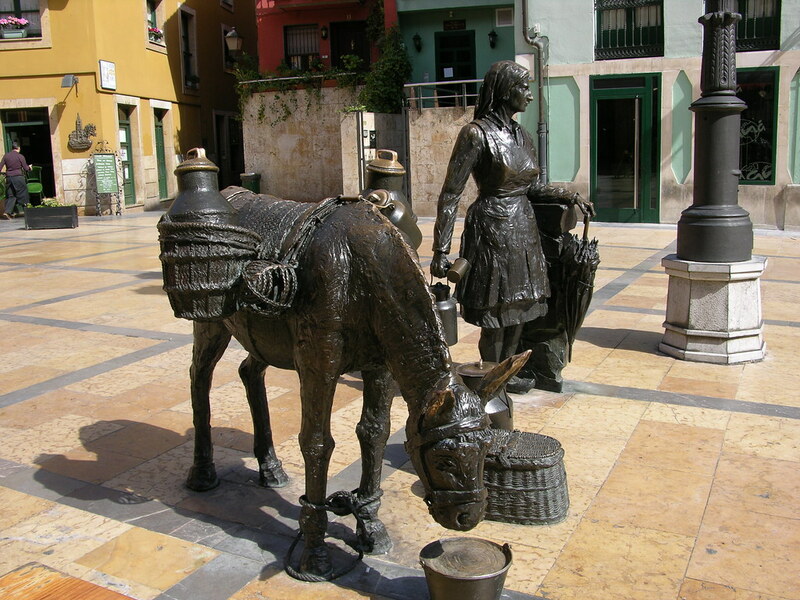 El Fontán and its annexed plaza, the Daoiz and Velarde Square they constitute a meeting point of the city and one of the places chosen to have tapas, take a walk around the trail or the flower market. 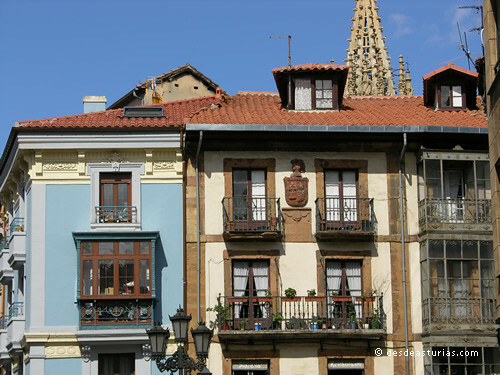 In Daoiz y Velarde you will find La Casa de las Comedias, a neoclassical style house that currently houses the Pérez de Ayala Public Library, which is well-stocked and frequented by citizens. Next to this cultural center stand out for its invoice one of the largest existing palaces in the city, the Palace of the Duke of the Park, of Baroque style. 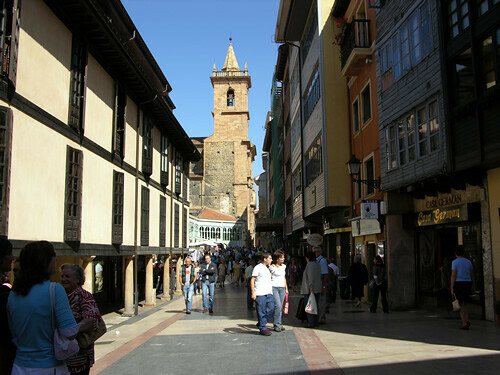 Remember that we had descended the Magdalena street, and possibly now we are going around the Plaza del Fontán. Fierro Street then appears, through which we must climb. We arrived again at the Plaza de la Constitución and this time we left the Church on our left, on the way to another street that goes down, El Peso street. 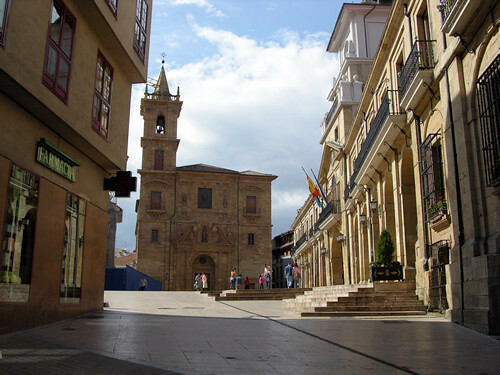 It leads us irremediably to our end of the journey through the old town of Oviedo, leaving us in one of its most illustrious limits: the Plaza del Riego, that takes name from the Asturian General Liberal that with its revolts forced the liberal triennium (1820-1823) against the absolutism of Fernando VII. 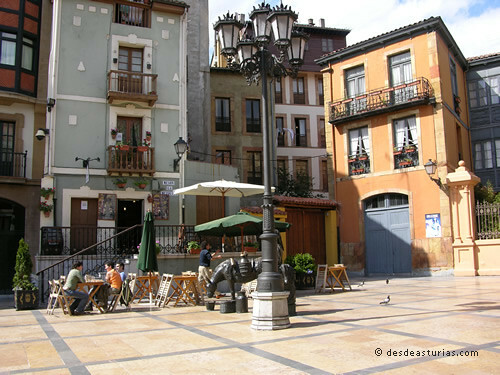 A small square that is a place for talk and meeting in the afternoons and evenings of the months of good weather, especially in the popular fiestas of San Mateo, when it is filled with music and beach bars. 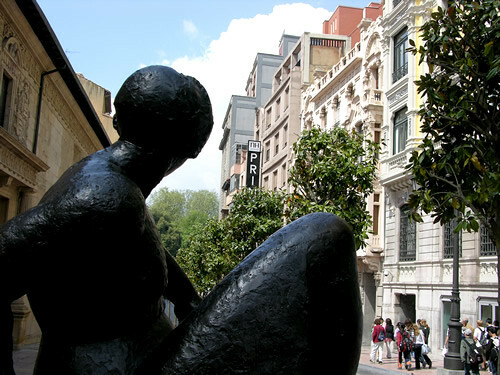 In this peaceful place we can take something quietly before returning to contemporary Oviedo. 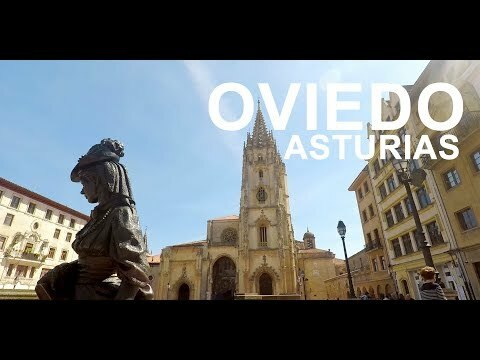 6 answers to "The historic center of Oviedo"
We take note and we will put the map shortly. A greeting. 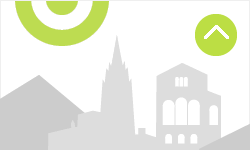 the description is fine, but for those who do not know the city, they could include a map with this itinerary.